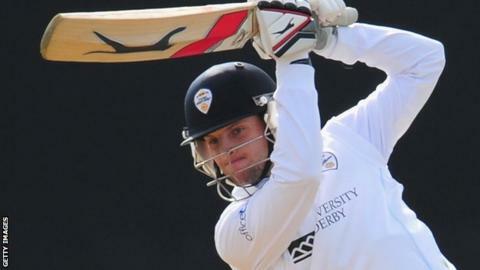 Derbyshire captain Wayne Madsen says his side have found it hard to move on after the car crash that saw their season-opener postponed. Last Sunday's match at Leicestershire was called off after wicket-keeper Tom Poynton was injured in a crash in which his father Keith died last Friday. Derbyshire now begin their campaign at Chelmsford against Essex this weekend. "It has been tough for all at the club and it has taken a while to re-focus minds," Madsen told BBC Radio Derby. "It's been particularly hard for the Poynton family, but the support of the greater cricket community and the public has been immense. "We have had to rebuild heading into the first game of the season and I have a big responsibility as captain. "Fortunately, Simon Storey, the chief executive, has been fantastic in arranging the support for the players, as well as for the Poyntons, Sheena, Adam and Hannah. "Some people may take it slightly differently to others depending on how well they know Keith, but there's been a sounding board there, which is important in these circumstances." With Poynton unavailable for the foreseeable future, Richard Johnson is set to wear the gloves against Essex. It is a game Madsen is desperate for his side to win as a way of paying tribute to the grieving family, even though the hosts are likely to have England duo Alastair Cook and Ravi Bopara available. He said: "We owe it to the Poyntons to make sure we get out and put in a good performance. "They have got some great players and on their day Essex are a very good side, but they have a soft underbelly and can have a tendency to be rolled over quite easily. "The last time we went down there I think we beat them in three days and I think most of the guys were around for that from our squad." You can hear every ball of every Derbyshire game on BBC Radio Derby Sport on 1116 AM and online with former New Zealand Test Bowler Iain O'Brien.